While we never would have thought kissing the gorgeous Jared Leto could be anything but perfection, Margot Robbie gave the inside scoop on what it was really like to make out with Leto on the set of Suicide Squad — and, trust us, it was actually quite a mess. When everyone involved in a smooch is all done up, it’s takes a whole ‘lotta talent (and a pretty mechanical move) to keep the kiss clean. 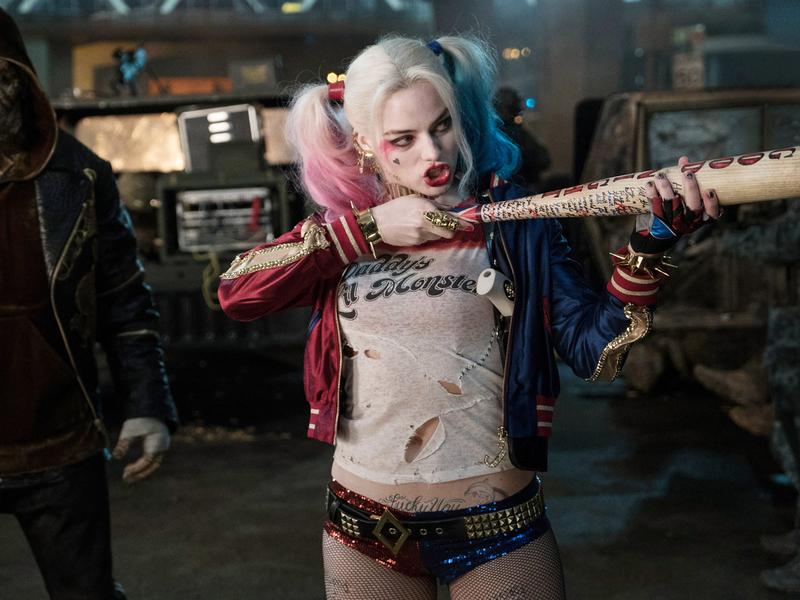 A full face of makeup like what the Joker and Quinn rock on set? We shudder just thinking about it. Take a look through Margot Robbie’s beauty look book, if Harley Quinn’s signature style isn’t your thing. Robbie knows how to brush off the little things, and why wouldn’t she? The talented actress has been in hit films like The Wolf of Wall Street and About Time, and is slated to be in the highly-anticipated, but currently untitled, Harley Quinn project that’s been in the works since May. In comparison? A little lipstick is nothing.